At VersaCourt, we are constantly striving to improve our processes and provide the most innovative products to our customers. 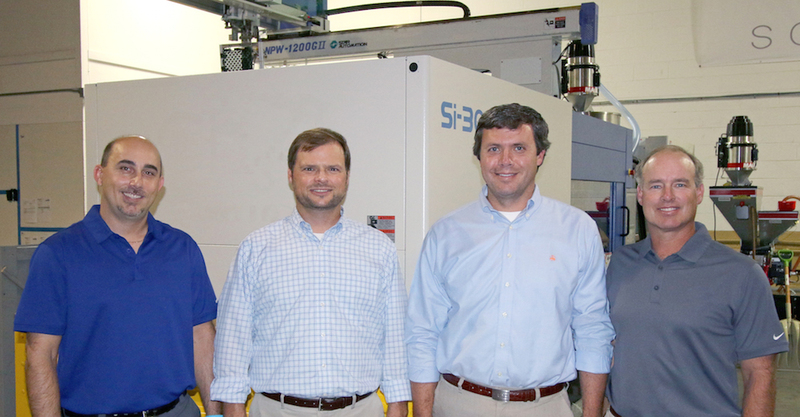 This year, we continued to innovate our process with the installation of two advanced, fully-electric injection molding presses at our production facility in Dalton, GA.
From the beginning, it has been VersaCourt’s mission to become the industry leader in the design and production of advanced court tile solutions. We started with a company pledge to always stay on the cutting edge of technology and use only the highest-quality materials to ensure optimal product performance for our customers. Our new full-electric injection molding presses drastically cut down on our overall production time, while maintaining the integrity and reliability of VersaCourt tile solutions that our customers have grown to expect. While improving our production process is very important to our company, we also want to make sure that we are improving our manufacturing capabilities in an environmentally responsible way. In addition to faster production times and product turnaround, the new fully-electric machinery is environmentally-friendly compared with previous hydraulic powered presses. In fact, overall power consumption during the manufacturing process is cut down by up to 70% and fossil fuels are all but eliminated from production. We're very excited to launch this new endeavor and we feel it is a huge step forward in maintaining our role as a leader of innovation in this industry. To learn more about our new technology, you can read our published press release, or watch the quick video above to see our equipment in action.